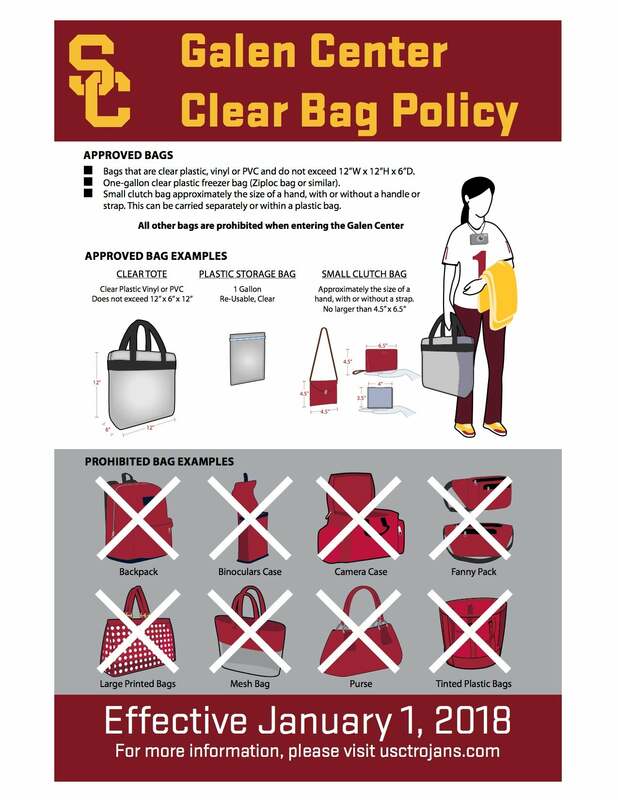 Galen Center has a Clear Bag Policy. Support the USC Trojans in one of the 21 varsity sports and help them Fight On! Come see USC Students take the stage with School of Dramatic Arts and Thornton School of Music events in the Fall and Spring! Throughout the year the Galen Center is the host to some special events in Los Angeles.